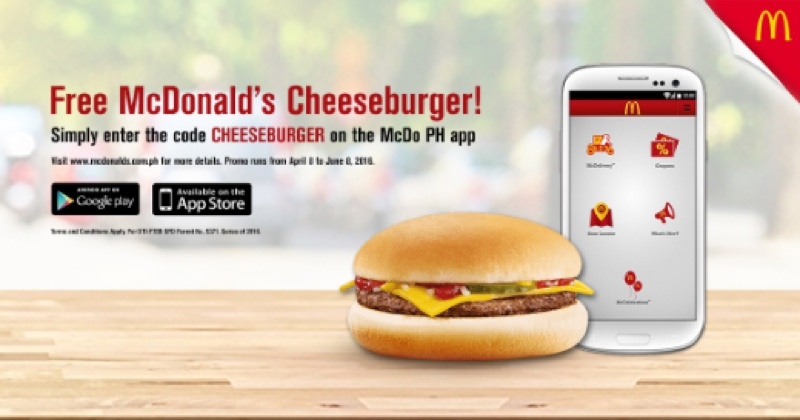 Get a free McDonald’s Cheeseburger when you download the McDo PH App! 1. Promo is ongoing until June 8, 2016.
and if process is skipped, user can no longer enter the promo code. Cheeseburger Coupon which will be located in the Coupons page of the app. yay! thanks for sharing ♥ is this available nationwide? can't open the mcdo site.